So, you or someone in your family is interested in learning to play cello. You have come to the right place! 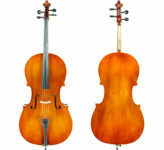 Violin Outlet carries a vast inventory of both new and used student cellos in all sizes suited for pupils of all ages. We have the best available options for students including discounts, trade-in programs, and rent-to-own programs. Violin Outlet is proud to be one of the largest Eastman String dealers in the country and the exclusive Eastman strings dealer in Southern Nevada. 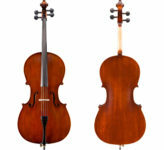 Please go the the Eastman Cellos page for a description of these fine instruments available in our store. 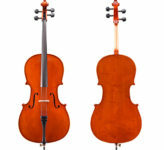 Below is a catalog list of some of our student cellos. Click on the items for larger images and a full description. *Shipping Special* FREE shipping on all orders of $50 or more.